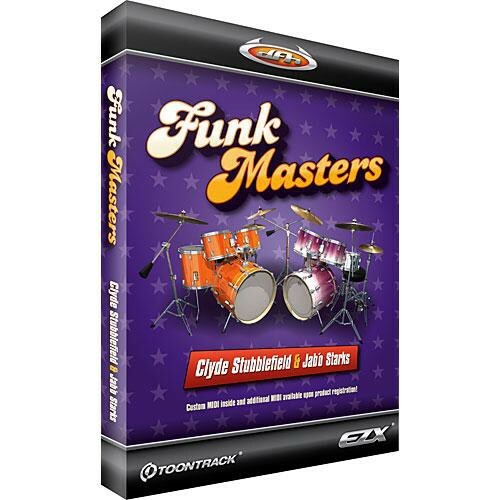 Funkmasters EZX from Submersible Music pays tribute to Clyde Stubblefield and John "Jabo" Starks, two of the most important drummers in American music. The foundation of hip hop music was created by looping and sampling their unique and original beats. Funkmasters EZX is rated 5.0 out of 5 by 1. Rated 5 out of 5 by Quantum Recordings USA from Diggin the Toons Great Funk Kit & MIDI. Worth the $$..! Midi is drag & drop into host from plug-in.